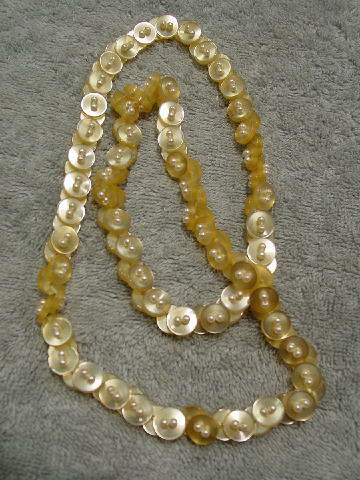 This vintage necklace is made up of iridescent champagne-bone with a touch of yellow color buttons and tiny faux pearls. The buttons are in a staggered piggyback pattern, so it looks the same on both sides. You put it on over your head. 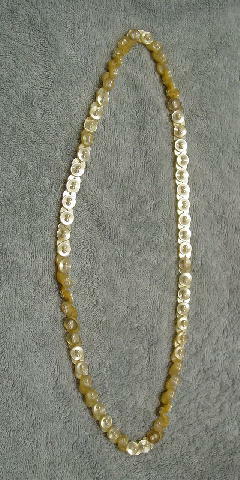 It was worn in a magazine photo shoot.